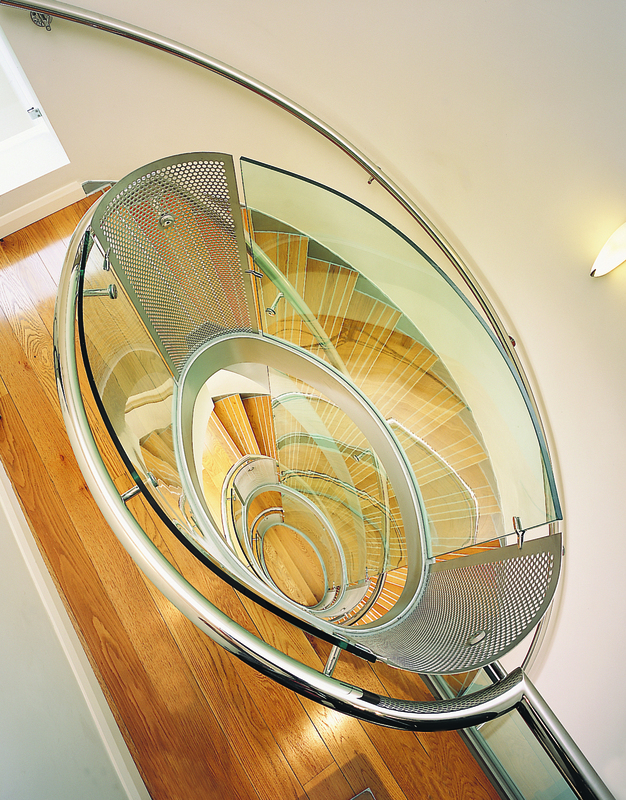 This elegant stainless steel and oak stair’s USP is that it is an elliptical helix, a fact that is not obvious until you look down the centre of the stair and see the shape of the void. 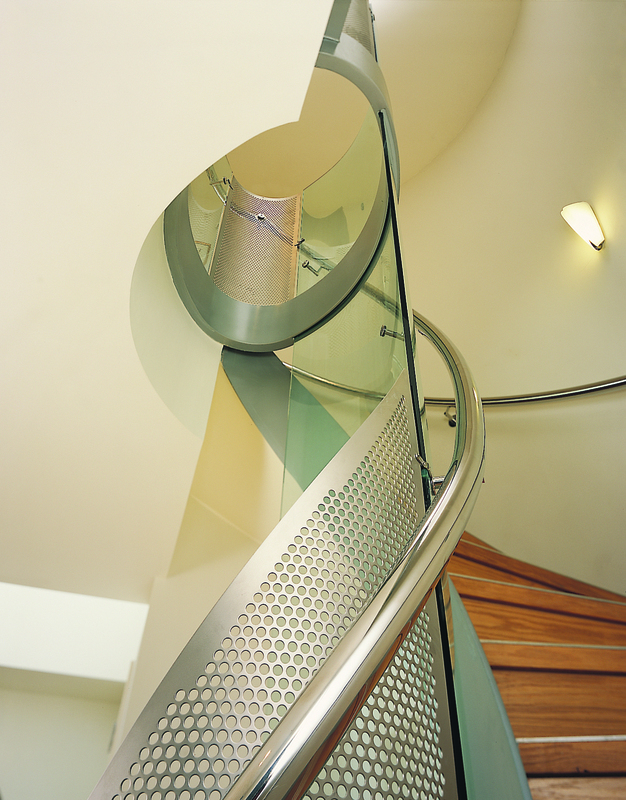 In this instance full elliptical bands have been set into each floor which emphasizes the shape and provides an alternative solution to detailing at this point. 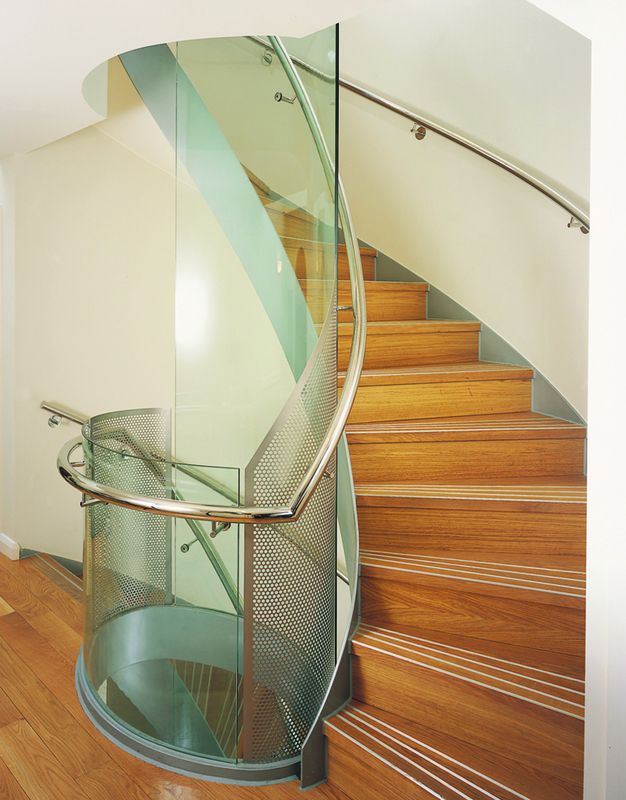 The stair also uses stainless mesh instead of glass panelling at the point where the balustrade forms a very tight curve, this is because toughened glass cannot be bent to such a tight radius.